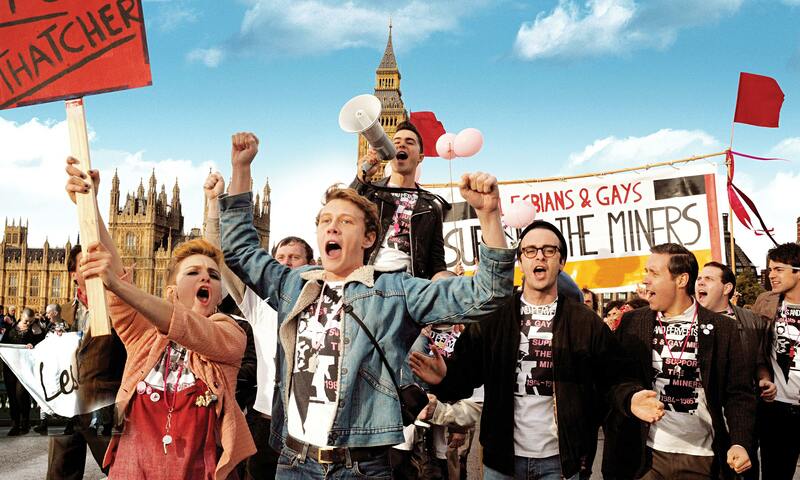 In 1984, members of the gay and lesbian community in England banded together to support the miners’ strike happening in the country in response to Margaret Thatcher’s economic policies. Despite the cultural differences and the often contentious relationship between the two groups, a commitment to solidarity and support brought these people together. In the summer of 1985, after the strike ended, after nearly a year of fighting, and not with the outcome the strikers had hoped for, the miners lead the Gay Pride march in a show of solidarity with the community that had worked with them. This is the story of the movie Pride which came out this year, where it one the Queer Palm award to Cannes. Over the long weekend, here at UMass Amherst, three incidents of hate speech were written on the doors of students of color. This has not only shaken the community, for obvious reasons, but also brought with it an outpouring of emotion relating to the way the campus community treats students of color, the retention rate among students of color and the consistent failure of the community to address concerns regarding race on campus. More often than not I have heard the words, “I am not surprised.” And that’s it. There is no further examination of that statement, there is no outrage, there is no anger or fear or sadness. There is a tacit acceptance of the fact that racism is alive and well on our campus. Ben Schnetzer, as Mark Ashton, says in Pride, “I don’t understand how people can be for one thing and not another. How can you be for labor rights and not women’s right?” [badly paraphrased]. And as I look at this campus, I ask myself the same thing. How can we hope to make progress, together, if we won’t stand together? Schnetzer’s character is met halfway by one of the miners, Dai Donovan, played by Paddy Considine who refers to a banner his town has, of two hands clasped, where he explains that the way he sees it, the banner shows, “If you support me, I’ll support you.” And indeed, the National Union of Mineworkers voted to enshrine gay rights in the Labour Party’s platform, as well as leading the parade in ’85. This is what we need; the solidarity, the community, and the will to fight the darkness of hatred and racism wherever it is hiding. Our black students should not be facing this alone, our hispanic students should not be facing this alone, students of color should not be facing this alone. We should take our cue from stories like that of the Lesbians and Gays Support the Miners. But we should also remember the miners, and our organized labor groups, all forms of organized peoples should be working to end this kind of behavior on our campus and in our community. We are fighting for all of us.